From now until the end of December you can use coupon code DEC2013 for $4.99 off your purchase of $14.00 or more. That is the same as buying two dress collections and getting the third for free!!! I’m having a fun time designing my dress collections. 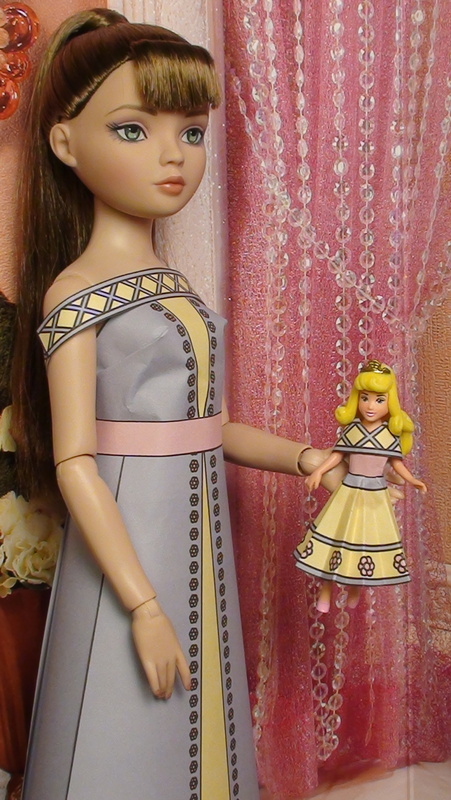 Here are pictures of my two latest collections, Diana and Marie. There definitely is a lot of variety in dolls today. 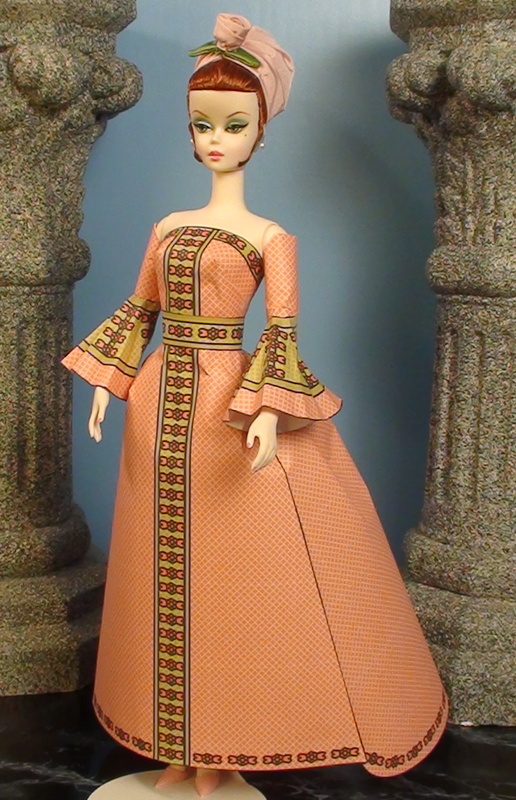 Its fun to design for all sorts of dolls and all sorts of dress styles, from ancient Egyptian inspired fashion right up to modern looks. I’m really excited, today is is launch day! If you are here today, I’m still a bit in the process of getting everything together and linked properly, so if something feels that it is missing it probably will be in place soon. Also, there are so many combinations that can be made with my outfit sets I haven’t yet made tutorial videos for every single item. 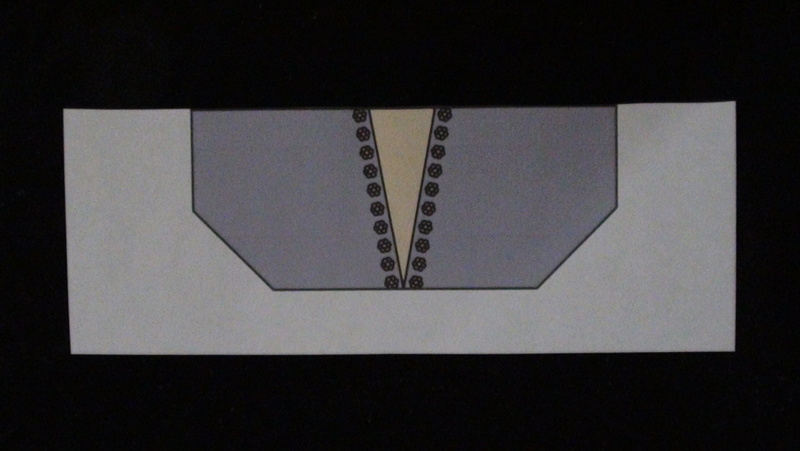 For example, just this week I designed these new overskirts in the picture above and I have a feeling there are new combinations I haven’t even discovered yet that my outfit pieces can make. So, since there is already plenty of tutorials to begin with, I’ve decided to go ahead and launch my website then add the new tutorial videos very soon. 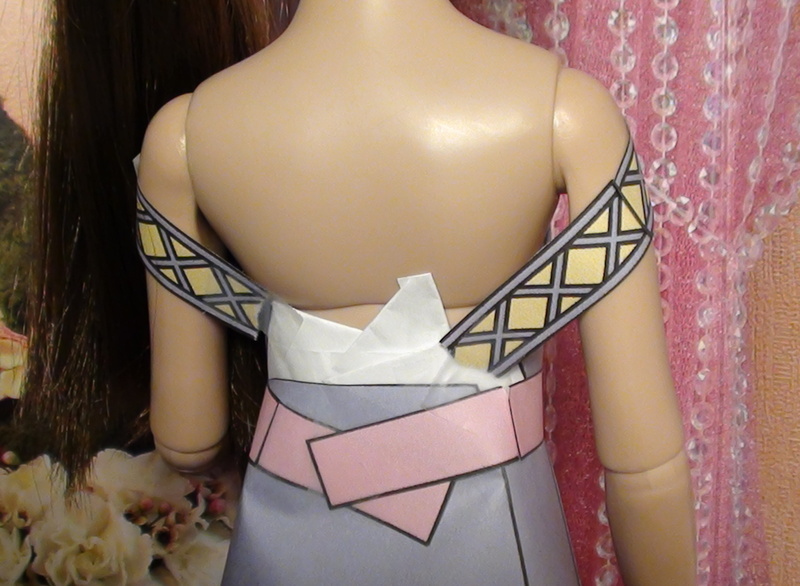 In case you are curious about these overskirts, here is how to make them. 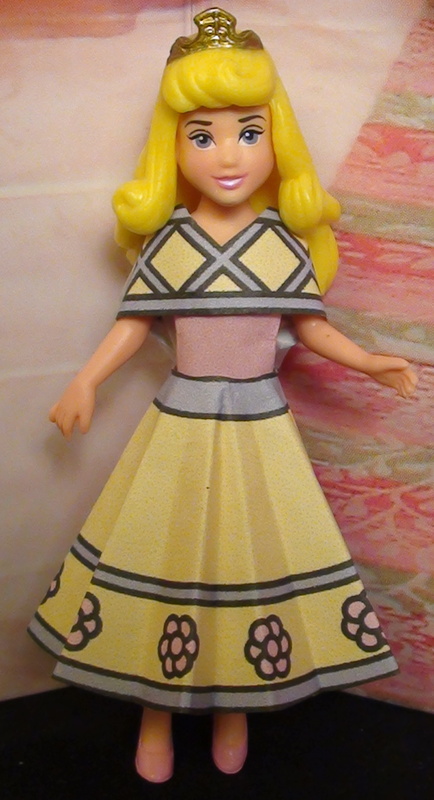 For each outfit I first made the top and then a circle skirt for the base skirt. 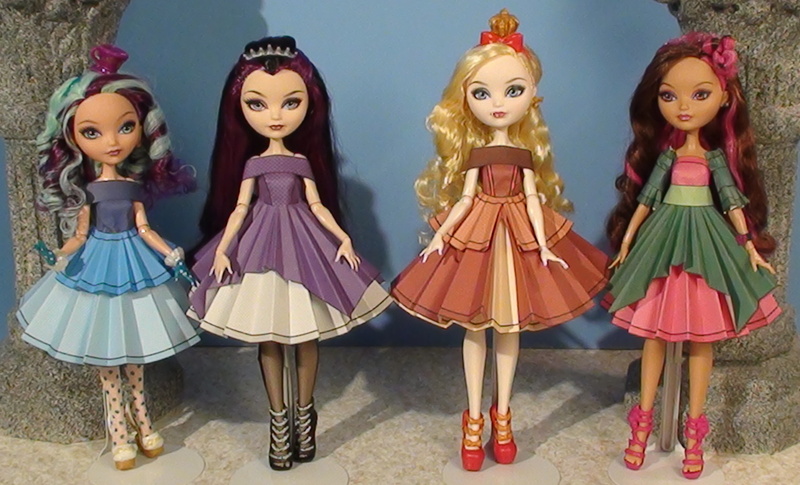 Going from left to right, Ever After High Madeline Hatter has a small circle as an overskirt prepared exactly the same as a large circle skirt. Raven Queen has a straight skirt piece that is folded and prepared like a circle skirt as her overskirt. 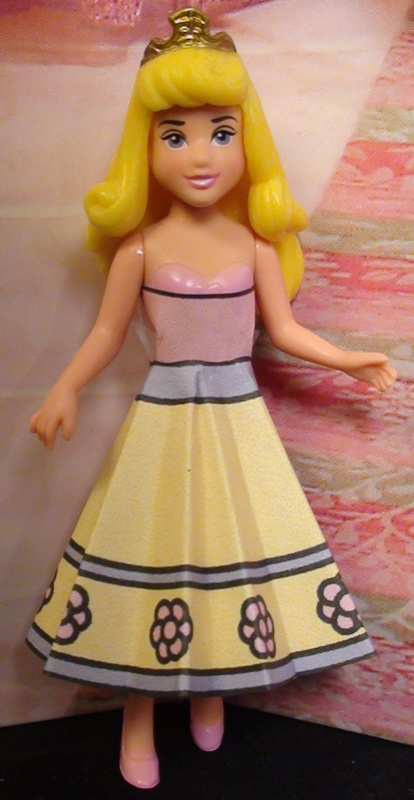 Apple White has a circle skirt that I cut along one of the fold lines until nearly at the top and folded back the edges diagonally underneath to make a split front overskirt. On top is a small circle prepared the same way. 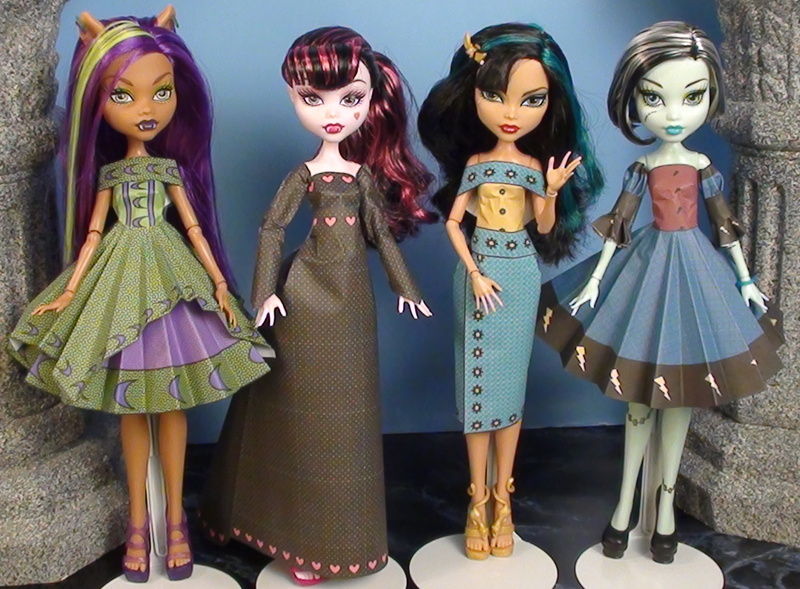 Briar Beauty has the same over skirt that Raven Queen has. However, I centered hers and angled Raven’s to be asymmetrical to give them different looks. 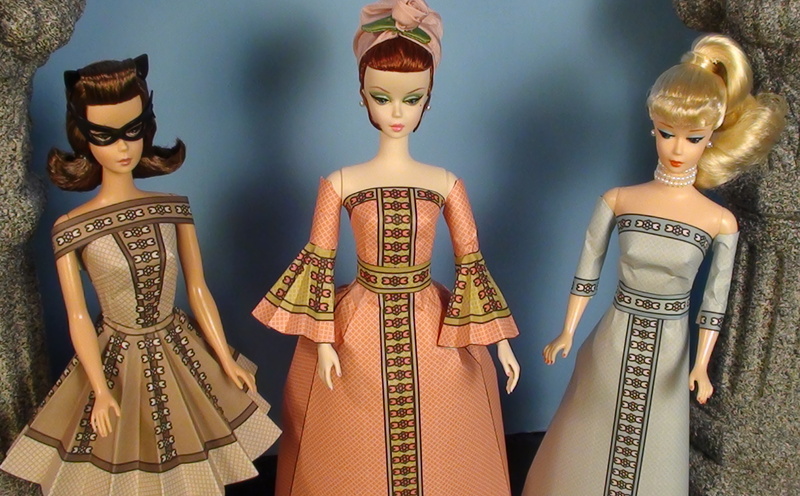 Briar is the only one with half circle sleeves with a band around the middle and the others have the wraparound belt collar. They are modeling outfits from the Royal Birthstone collection. 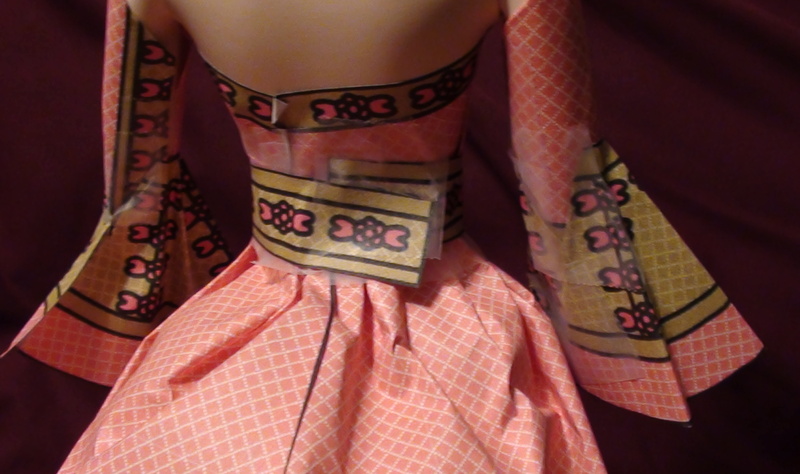 I’ve now made a video that includes the tutorial for these overskirts. Here it is. 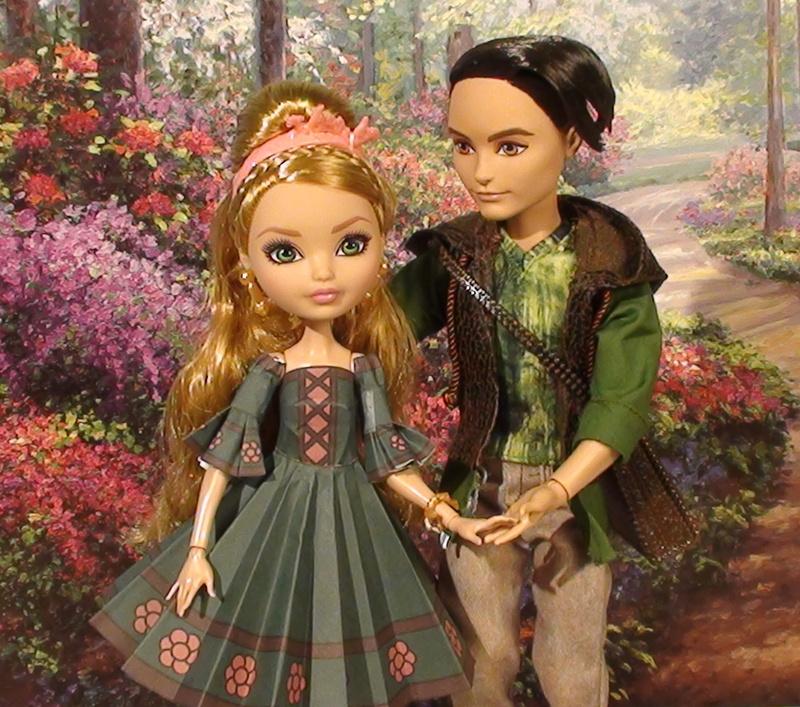 I just got the Ever After High Ashlynn Ella & Hunter Huntsman Doll, 2-Pack and right away Ashlynn wanted a new dress that would be perfect for a picnic in the forest. 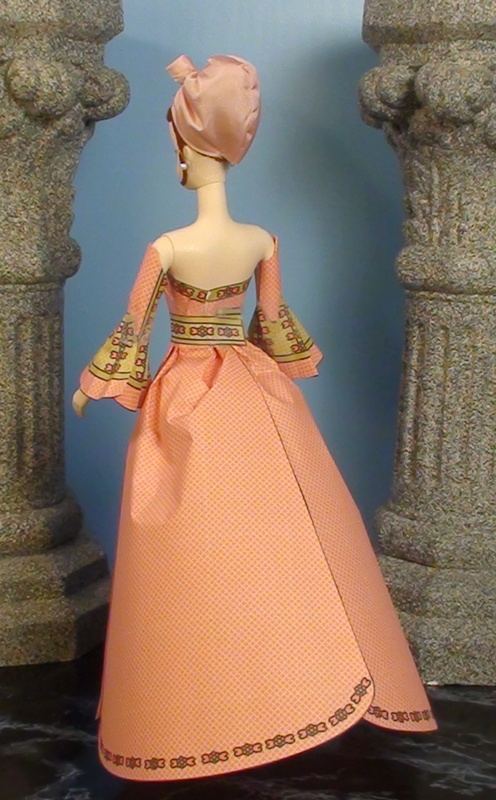 I used the green dress from the Heidi collection to make this outfit for Ashlynn.